Concrete mixing station before starting need to view the following areas: the limit switch is not normal, there is not alarm appear on the computer operating interface; check the belt of concrete mixer; check the sound console; air compressor pressure is 0.7MPa; disable switch active production of concrete, “concrete curb” file. The control system of “manual” to switch to the “active” in concrete mixing station; and then open the urgent suspension of key switches, Manually operate console power source, PLC appeared and exterior power supply is normal, open UPS, turn on the computer to view. Turn off the emergency switch of the control system console, the key switch is in the closed condition. The patch panel is in the OFF condition in console, and the power switch is closed in the absence of the main chassis under any load condition. 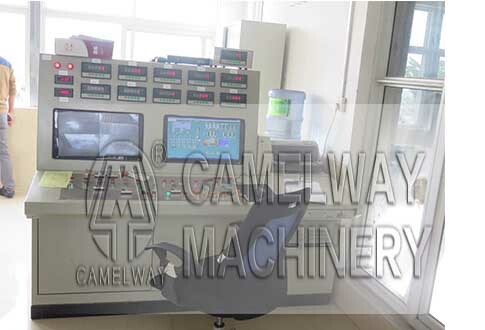 In concrete mixing station control system self-test Note: if you can not operate the a hybrid control system skillfully, please strictly follow the steps below. Ensure that the computer input signal is normal. Open hopper bottom valve, admixtures, feed valves. Then pumps, inlet valve and aggregate storage bins are filled with material, then empty the host, and carefully view each center position .